The upcoming change to parental controls will prevent in-game purchases by default. 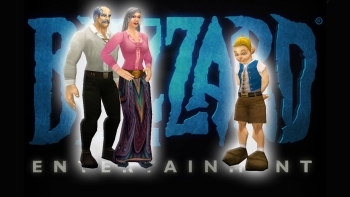 Yesterday, Blizzard announced some upcoming changes to the Battle.net parental controls. The changes will disable, by default, in-game purchases for those accounts that have parental controls turned on. Accounts that have parental controls enabled will receive an email soon that details this change and provides instruction on how to enable in-game purchases. Blizzard has provided an example of the email on its official forums. The announcement also noted that due to the risks of phishing, Blizzard recommends checking the source before clicking on email links or manually visiting Battle.net account management to make changes. The change will prevent, by default, any purchases in the World of Warcraft in-game shop, the Diablo III real money auction house (until it closes permanently on March 18, 2014), and real-money purchases in Hearthstone: Heroes of Warcraft. With the upcoming open beta for the free-to-play card game Hearthstone, Blizzard may be hoping to preempt parent concern over in-game purchases and prevent minors from racking up huge bills. Earlier this year, Apple agreed to pay out as much as $100 million to customers in a class action lawsuit over in-app purchases made by minors. The Battle.net parental controls allow parents or guardians to manage access to Blizzard games for minors (or allow adult players to impose limits on their own play). The controls can set daily or weekly limits for time played, or restrict play to a schedule. Parental controls can also be used to configure access to voice chat and to enable Real ID. Parental controls can also be used to disable in-game purchases, but before this change purchases were allowed by default.